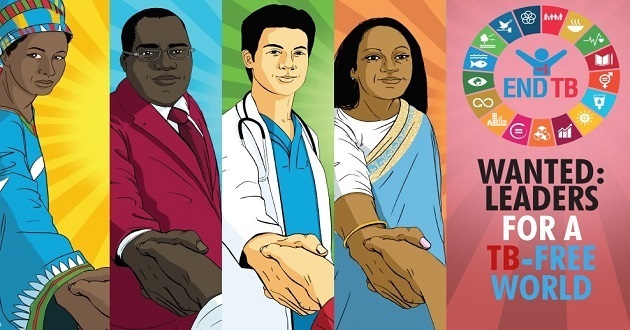 There is a need to strengthen multisectoral collaboration to halt the global tuberculosis epidemic, WHO Executive Board (EB) members said in a review of the WHO End TB Strategy, which aims to reduce TB deaths by 90 percent by 2030. To meet the targets, collaborations between global and national public health authorities, patient groups, researchers, and the private sector need to be strengthened, noted representatives of the WHO governing body, comprised of 34 WHO member states, in a review of progress battling TB on 30 January. Tuberculosis (TB), caused by Mycobacterium tuberculosis, is the leading cause of death worldwide from a single infectious agent. Some 10 million people were reported to be infected, and 1.6 million people died, in 2017 including 300,000 deaths from HIV co-infections, according to the WHO review [pdf] to the EB. The Board was invited to note the review, which was a follow-up to the UN General Assembly High-Level Meeting on TB in September 2018. The End TB Strategy, which aims to end the global TB epidemic by 2030, was adopted by the World Health Assembly in 2015. However, the world is not on track to meet that target according to the WHO Global Tuberculosis Report 2018. Although TB deaths are declining by about 3 percent annually, annual rates of mortality reduction need to reach 4-5 percent by 2020, with an even larger reduction in the rate of new infections, in order to meet End TB targets, and drug-resistant TB remains a persistent concern. Not only does TB affect the most vulnerable and low-income sections of the population, it also is very common in patients infected with HIV, with weakened immune systems, and often requiring special treatment tools. WHO, in consultation with member states and other stakeholders has been advancing a Multisectoral Accountability Framework to align the public health sector, civil society and private sector partners in making commitments to the key prevention, treatment surveillance and R& D strategies that will be required to sharply reduce the TB death toll and infection rates. The Framework is to be finalized by the World Health Assembly in May, according to the EB report. EB representatives underlined the need for improved collaboration to confront drug-resistant MDR-TB and XDR-TB, which continue to pose a significant threat to control of the disease on a global scale. Some members underlined that resistance is a result of a combination of social, economic and health system failures, leading to the over-prescription of drugs and the low adherence of patients to drug treatment protocols. “TB remains very much a poverty-related infection, and mainly affects persons in vulnerable situations with insufficient access to diagnosis, treatment and health care services,” said Romania’s representative, speaking on behalf of European Union countries. Representatives at the EB also called for WHO to work with partners to improve research and development of TB drug treatments, particularly for drug-resistant TB, as well as expanding availability and use of the latest diagnostic tools, which are both faster and more accurate, including tools based on more rapid and accurate molecular-level diagnosis of TB bacteria. State of art diagnostics are not widely available in many low-income communities, reliant upon more traditional methods of TB diagnosis (based on visual analysis of sputum smears under a microscope). More rapid and efficient TB detection would speed treatment, reduce hospitalization for severe cases, and avoid unnecessary treatment of false positive test results, EB participants said. Nikhil Duella contributed to the reporting of this article.